A new twist on my embedded soap run. I really like these. 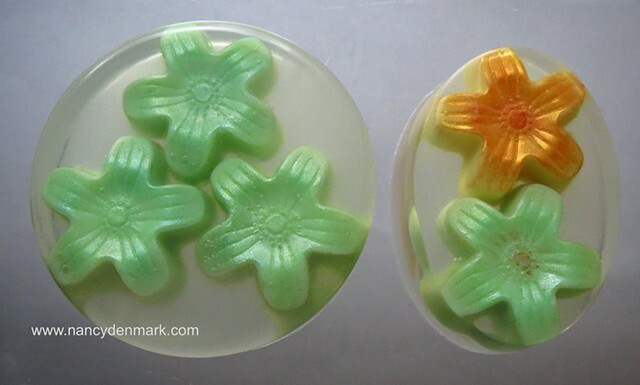 Flowers made of goat's milk soap embedded in clear glycerin soap bars. Large round bar is $7.50 and small oval is $4. Green embeds are scented pear, yellow embed is coconut, and the clear soap surrounding the embeds is scented pineapple. The flower shapes will remain a part of the bar all the way through use.